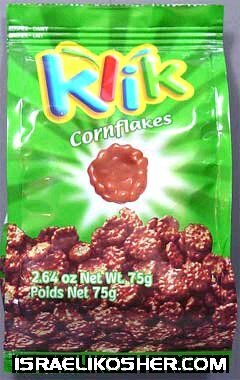 klik milk chocolate covered cornflakes. net weight 2.64 oz. made in israel.